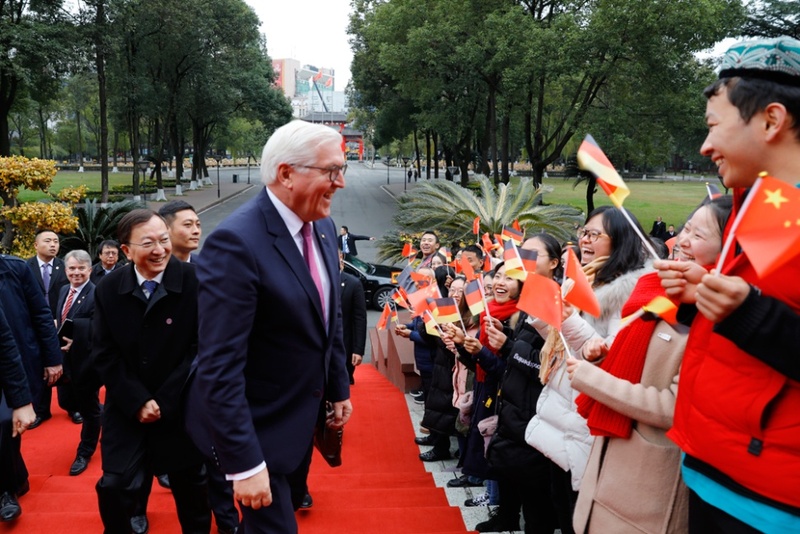 On the afternoon of December 7, German President frank-walter steinmeier visited Sichuan University. 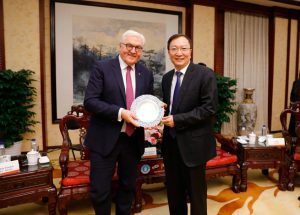 President Li Yanrong met with guests in VIP hall of mingde building of Wangjiang campus and attended relevant activities. German state secretary Mr Van Mr Lai, the German ambassador to China, Ge, Chinese ambassador to Germany defence, Zhang Yechu, deputy director of the provincial foreign affairs office director zhi-wei cui, counsellor fan-hua zeng, chief of protocol from the department of European affairs of ministry of counsellor Du Xiaohui, vice President of characters who waited for to attend live on the same day afternoon, frank - walter Mr Steinmeier was warmly welcomed by the students from the two countries as soon as they got off the bus. At last, on behalf of the school,Li presented the souvenir to the Frank,Then Frank Sign the autograph book as a memorial.